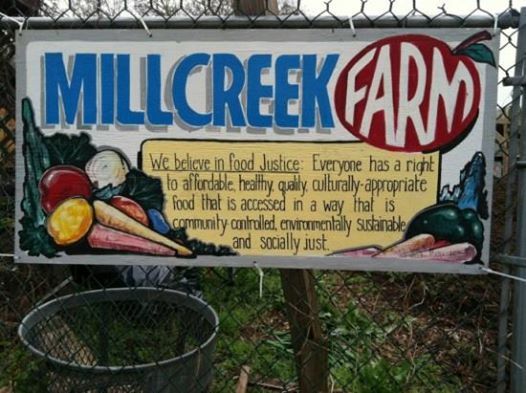 Founded in 2005, Mill Creek Farm is a people of color led educational urban farm that cultivates and distributes fresh produce, hosts farm-based learning programs for people of all ages, and demonstrates ecological technologies and creative resource use to provide for basic needs. Located 49th and Brown Street in West Philadelphia. We are dedicated to improving local access to fresh, chemical-free produce at sustainably low cost for the immediate Mill Creek community and surrounding neighborhoods. We are dedicated to building a healthy community and environment, and promoting a just and sustainable food system. Come join us in support of Mill Creek Farm! we’ll be working with them on Sundays, so if you’ve been interested in joining a farm crew but have not been able to because of your schedule, this is perfect for you!